Interfaks-AVN recently summarized the impending force structure changes in Russia’s Ground Troops. According to Interfaks-AVN, the resurrected 90th Tank Division in the Central MD (Chelyabinsk Oblast) will be ready for the start of the new training year on 1 December. News of the division surfaced in January. It’s not exactly “new” given that the 7th Tank Brigade at Chebarkul will be its base. 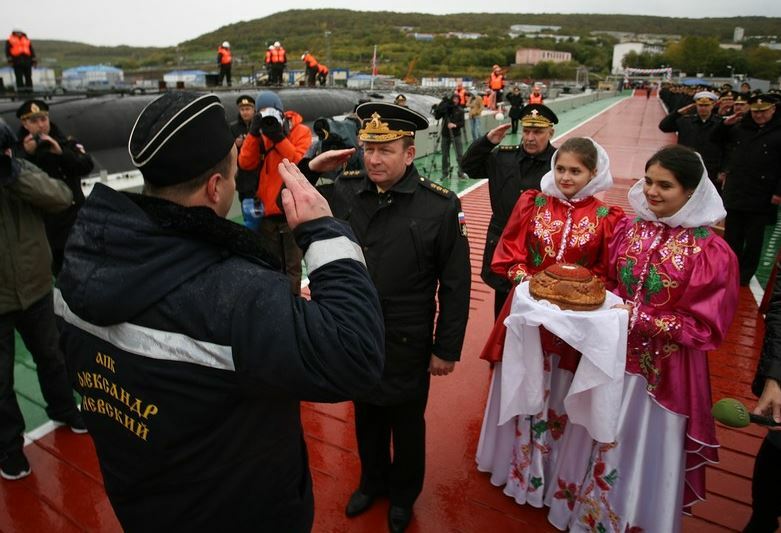 The division is in the heart of the Urals, an important military-industrial region. It has a large training range as well. Kazakhstan’s not far off to the south. Officially, the division is the 90th Guards Tank Vitebsk-Novgorod Twice Red Banner Division. It traces back to the Red Army’s 90th Guards Rifle Division formed in 1943. 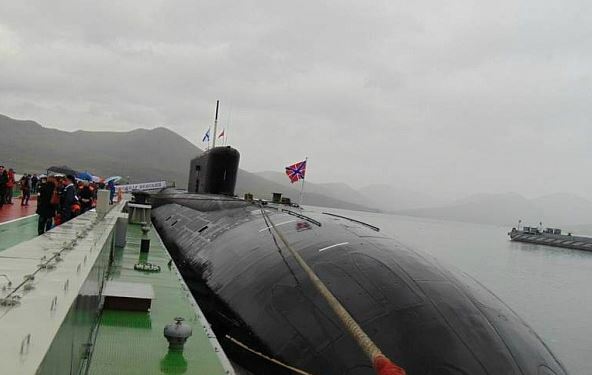 TASS already reported the division is more than 70 percent manned and equipped. To form up fully, the 90th needs at least another regiment’s worth of T-72 tanks, perhaps a motorized rifle regiment, artillery and air defense units, an array of supporting units, as well as equipment drawn from Central MD storage bases. Interfaks-AVN reminds readers Ground Troops CINC General-Colonel Oleg Salyukov announced in January that Moscow intends to put up three “new” divisions in the west (in addition to the tank division in the Central MD). Voronezh (Boguchar) and Smolensk (Yelnya) are possible locations for “new” western divisions. The redeployment of the 20th CAA from Nizhegorod (Mulino) to Voronezh (Boguchar) began in 2015. 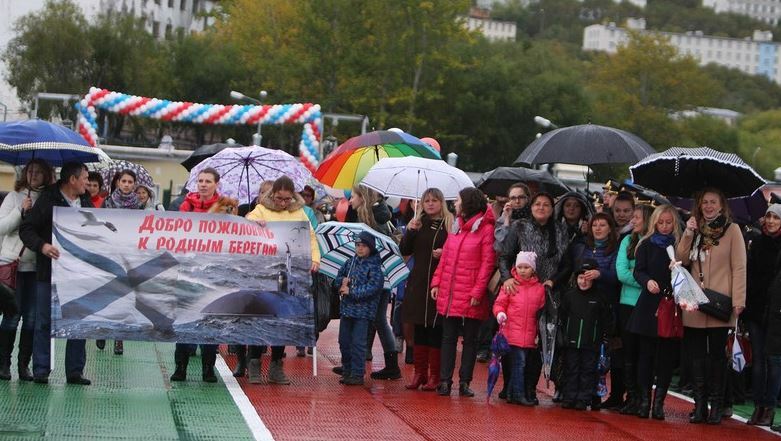 The 9th IMRB has transferred to Boguchar, and may be struggling to adjust to its new base. It has, however, the advantage of being an extant maneuver brigade, albeit with some artillery, missile, and support units still located east of Moscow. 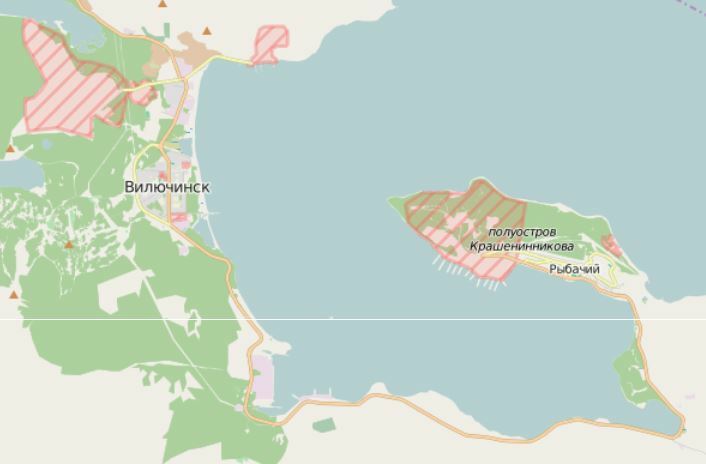 The 1st Independent Tank Brigade is also supposed to be based in Boguchar. It’s the remnant of the former 10th Tank Division, which was downgraded to a regiment and then a storage base by the late 2000s. It’s a stretch to call it an existing formation. Another motorized rifle brigade might make its home in Yelnya. As Interfaks-AVN notes, two of these three brigades might become divisions. Interfaks-AVN didn’t address the Kommersant report from June describing the transfer of two IMRBs to Russia’s western border. Citing local media coverage, the paper described how the 23rd and 28th IMRBs departed their Central MD garrisons for Bryansk (Klintsy) and Belgorod (Valuyki) Oblasts respectively. They are also candidates to become divisions. The 1st Tank Army in Moscow (Bakovka) Oblast was resurrected to be an army-level headquarters for existing formations that pretty much amount to an army. They include the 2nd MRD, 4th TD, 27th IMRB, and 6th Tank Brigade. There’s conjecture the latter could grow into a tank division to establish the 1st TA’s credentials as an army. The Southern MD definitely gets one of the three “new” divisions — the 150th Motorized Rifle Idritsa-Berlin Order of Kutuzov II Degree Division. 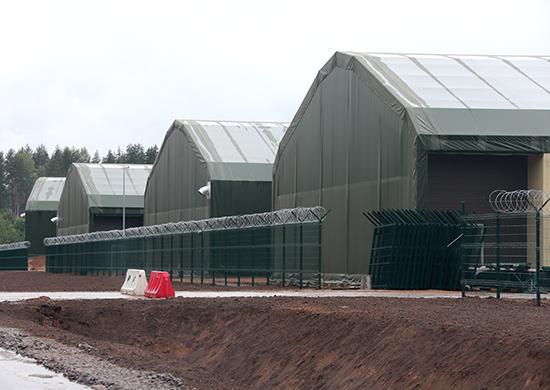 The MOD website frequently covers progress on the infrastructure of this formation. Moreover, as Interfaks-AVN noted, the Chief of the General Staff just announced the 150th will be part of a new combined arms army. But there aren’t good existing candidates to fill out a new army short of denuding the 49th CAA. The foregoing leaves us a general sense of what’s happening on Russia’s western frontiers, but not specifics. Nevertheless, let’s draw preliminary conclusions. First and foremost, the changes in ground force structure — transferring existing formations or raising entirely new ones — are massive undertakings at a time of budget stringency and while the rearmament program mostly continues. Potential divisions — the 9th, 23rd, and 28th IMRBs — are manned and equipped, but probably lack adequate facilities. Also, it’s unclear exactly which units (air defense, artillery, EW, recon, logistics, etc.) they left behind in Mulino, Samara, and Yekaterinburg. Less likely candidates for division — the 1st TB and Yelnya — lack facilities, troops, and armaments. Reconditioning equipment from long-term storage isn’t a trivial task. Fleshing out the structure described above is a big enough job, but the Russian “pivot to the west” also entails finishing the 150th MRD and the CAA to which it will belong, and possibly adding another TD to the 1st TA. Returning to where this began, the Russian Army still has to fill out its 90th TD in the Central MD at the same time. The General Staff, Ground Troops’ Main Command, and Western MD should have more than a few sleepless nights thinking about how to make all this work. But it’s job security. In Voyenno-promyshlennyy kuryer on 10 February, Aleksey Mikhaylov gives us details on the career of new GRU Chief General-Lieutenant Igor Korobov, and perspective on issues he needs to resolve for GRU Spetsnaz forces. As for Korobov, he matriculated at the Stavropol Higher Air Defense Aviation School in 1973 (making him about 61). Graduating with distinction in 1977, the new lieutenant headed north to serve at Talagi airfield near Arkhangelsk in the 518th Interceptor Regiment — part of the 10th Independent Air Defense Army. Korobov’s regiment flew large, long-range Tu-128 / Fiddler interceptors with the mission of engaging U.S. B-52 bombers in the Arctic. In 1981, according to Mikhaylov, Korobov was accepted into the Military-Diplomatic Academy — the GRU’s training ground. It’s worth noting that bmpd.livejournal.com ran a lengthy item on 7 February with several photos from Korobov’s days in Stavropol and Talagi. It adds that he served in the 2nd squadron of his regiment. In 1980, a “buyer” arrived from Moscow to talk to the regimental commander and review files of young officers. He picked two candidates — Viktor Anokhin and Korobov. Anokhin demurred because he wanted to fly, but Korobov accepted. The former went on to become a two-star in the Air Forces. The latter began his career in the GRU. All this explains how Korobov came to have blue piping on his dress jacket and epaulettes. But back to Mikhaylov . . . . 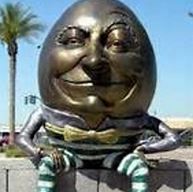 The GRU, he writes, is associated primarily with “illegals” and “foreign residencies” which acquire information on the latest developments in the military-industrial complex of the “probable enemy,” the deployment and armament of his forces, and “nuclear secrets.” It also has directorates specializing in electronic and space reconnaissance, cryptanalysis, etc. Mikhaylov asked Spetsnaz officers about the problems of their branch, and ways to solve them. The majority, he writes, think the Spetsnaz still suffer from reforms instituted by Serdyukov. Its commanders know how to lead, but not necessarily how to conduct reconnaissance operations. Experienced Spetsnaz commanders lost in Serdyukov’s time have been replaced by officers who don’t understand reconnaissance, according to Mikhaylov’s interlocutors. They call for better cooperation between the GRU and Main Command. At present, in Ground Troops brigades, force reconnaissance sub-units are being established — companies in reconnaissance battalions of combined arms brigades and Spetsnaz battalions in army reconnaissance brigades. But it’s not just structure, but also the particulars of employing these new Spetsnaz sub-units that need to be developed, Mikhaylov writes. Several of his sources say Spetsnaz units and sub-units have become too numerous, at the expense of electronic reconnaissance. Mikhaylov adds that Spetsnaz operations in the enemy’s rear areas require aviation assets, helicopters in particular. But it’s unclear who will provide this air support. Other officers, however, contend that modern specialized armored vehicles like the Tigr are sufficient for most operations in which Russian forces are likely to find themselves. But reconnaissance battalions and brigades need more UAVs, and greater numbers of advanced electronic reconnaissance systems, another Ground Troops officer told Mikhaylov. Combined arms reconnaissance has one more headache — recently formed sniper companies for which the brigade’s chief of reconnaissance is responsible. One sniper officer told Mikhaylov that these companies already exist though without guidance, regulations, or combat training plans. In conclusion, Mikhaylov concedes that new GRU Chief Korobov won’t have to deal with these problems personally, but his subordinates will. This all becomes even more interesting if you consider that the GRU, SSO, and army reconnaissance Mikhaylov describes have probably deployed on battlefields in Ukraine and Syria without sorting out their unresolved organizational and operational issues first. October 24 was the MOD’s Day of Special Designation (Spetsnaz) Subunits. For the occasion, KZ featured the Airborne Troops’ storied 45th Independent Guards Orders of Aleksandr Nevskiy and Kutuzov Special Designation Brigade. The 45th was a regiment as recently as 2014, but — as VDV Commander Shamanov promised — it is now a brigade. Maybe it’s expanded in size with its upgraded status. We’ve heard nothing yet about whether the 45th was deployed in a deep reconnaissance role prior to (and during) Moscow’s air operation against the various enemies of Syrian leader Assad. It’s a pretty good bet it did and is. KZ’s story describes at length the process of joining the brigade. No one, it says, ends up in the 45th by accident. All are willing volunteers, and far from every would-be VDV Spetsnaz soldier becomes one. The article reports DOSAAF helps train and identify candidates. Belgorod Oblast’s DOSAAF had an entire company of young men accepted into the 45th last year. Brigade officers look for potential contractees when they visit VDV and other military units. However, the article doesn’t provide a current breakdown of conscripts and contractees in the brigade. The article does say 90 percent of its contractees conclude a second contract. The average contractee makes 35,000-40,000 rubles per month after three years. They are eligible for MOD mortgage and non-resident higher education programs. The brigade is, KZ writes, a special kind of collective, a family, and officers and soldiers don’t want to leave it. The article describes the brigade’s jump training. Traditional D-10, and Arbalet-1 and newer Arbalet-2 ram-air parachutes are used. About 25 D-10 jumps are needed before trying Arbalet. Some 20 days of training are required on the Arbalet-2. Troop testing for this chute was done in the 45th. A skilled paratrooper can reportedly “plane” up to 17 km in a jump with the Arbalet. The brigade’s soldiers make about 10 training jumps annually. Subunit commanders in the 45th remind their soldiers that, “Reconnaissance ends when the shooting starts.” Especially deep reconnaissance. The brigade’s primary mission is reconnoitering targets, transmiting their coordinates, and leaving without detection. Seliverstov notes that the men of the 45th had to equip themselves in 2000, but are now fully outfitted by the state. KZ writes that an independent reconnaissance detachment from the brigade took part in the operation to “return Crimea to Russia” in the spring of 2014. 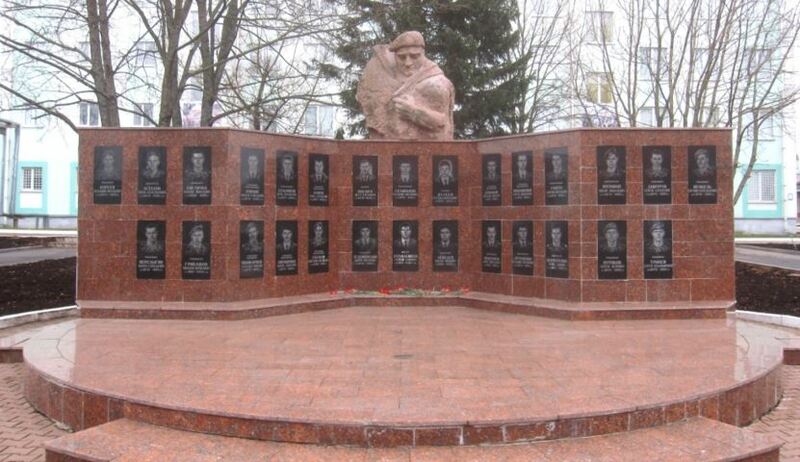 The brigade has 14 Heroes of Russia, including four still serving. A little searching turned up other articles to round out the picture of the 45th. They mostly give the brigade’s history and tend to repeat each other. There is KZ again, from 2011. 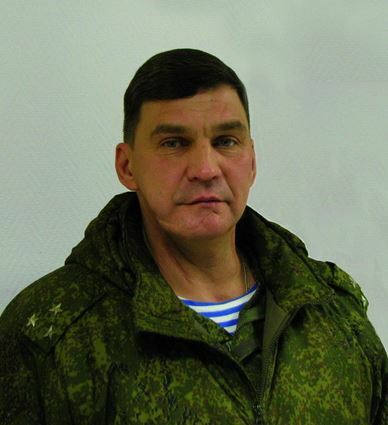 This site gives a bio on current brigade commander Colonel Pankov. 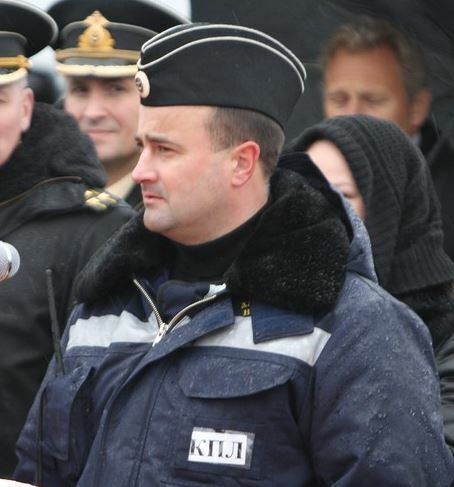 The 47-year-old officer is, of course, career Spetsnaz. He fought in both Chechen campaigns, and commanded Spetsnaz groups and detachments before becoming deputy commander of the 45th in 2000. He received his Hero of Russia award in 2001. 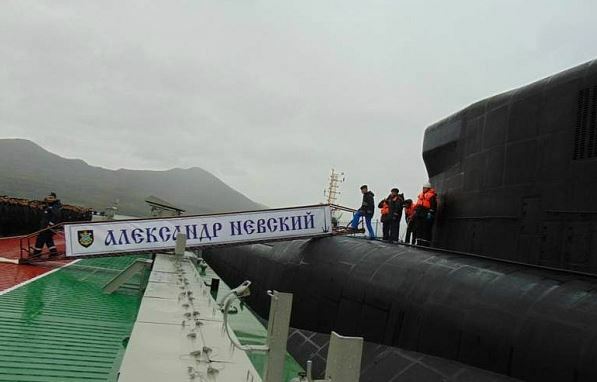 This one reports that Pankov took command in August 2012 and it has some useful links. Kubinka’s site covered the brigade’s 20th anniversary in the summer of 2014, and it has some good photos. The brigade was still a regiment at that point. The English wiki on the 45th is a little incomplete and a little dated. The Russian version is more useful, and has a number of sources and links. Russia’s 20th Combined Arms Army (CAA) is redeploying from Nizhegorod to Voronezh on Ukraine’s border, according to a TASS news agency source in the General Staff. Reports of the army’s transfer from Nizhegorod Oblast, east of Moscow, first appeared in March. 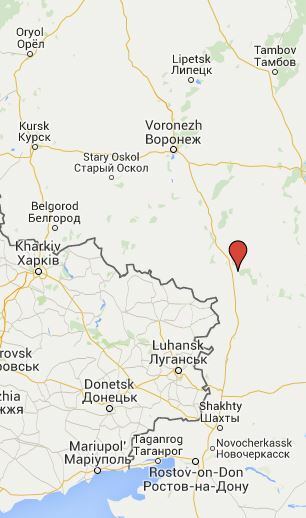 Some Russian media say its 9th Motorized Rifle Brigade has already relocated to Boguchar, southeast of Voronezh on the Ukrainian border. On 13 August, TASS reported that the army’s units will occupy existing garrisons in Orel, Kursk, Tambov, and Lipetsk Oblasts. Moscow withdrew the 20th CAA from Germany by 1994, and it spent 16 years in Voronezh before relocating to Mulino, Nizhegorod in 2010. The news agency’s source said the General Staff and Western Military District are determining the future composition of the 20th CAA, particularly new units to be formed or transferred from other military districts. Its major maneuver forces will likely include another motorized rifle brigade and a tank brigade. The process is in the initial phase, but should be complete by 1 December, the start of the army’s training year. The 20th Army will need reinforcement because its most capable formations — the 2nd Taman Motorized Rifle Division, 4th Kantemir Tank Division, and 6th Tank Brigade — reportedly will become part of Russia’s reconstituted 1st Tank Army near Moscow this fall. TASS reported that General-Major Sergey Kuzovlev will command the army. The Ukrainian Security Service alleges he commands Russian forces and local militia in the self-proclaimed Lugansk People’s Republic. Officially, he is chief of staff of the Southern MD’s 58th Army, and previously commanded the 18th Motorized Rifle Brigade in Chechnya. Moving the 20th CAA is a reaction to a year and a half of fighting in eastern Ukraine, and an effort to enhance Kremlin options for border contingencies. Nevertheless, it’s likely to be some time before most elements of the 20th CAA are settled, manned, trained, and combat ready.